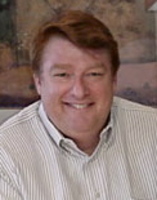 Alan is the currently CEO of IVDesk (www.ivdesk.com) a leading provider of Complete Virtualized IT to small and medium sized businesses. Mr. Bignall has extensive leadership experience in the US, and also internationally with American Express, the Royal Bank of Canada, Fingerhut and other large multinational companies as well as several entrepreneurial ventures. Bignall also serves on the board of iCrimeFighter (a mobile app solution for Law Enforcement evidence capture www.icrimefighter.com), Realief Neuropathy Centers (a pain management company www.realiefcenters.com)CSMG International (a Chicago-based sports management company), the advisory board of the Norris Institute at the University of St. Thomas, and is the Entrepreneur in Residence at the University of St. Thomas’ Schulze School of Entrepreneurship in the Opus College of Business. He has three children and lives in Wayzata Minnesota. His son Drew played baseball at Trinity University in San Antonio, Texas and still resides there.